Instead of whistling into the mic when using an antenna tuner on SSB, we could easily add a tone generator and switch to do that for us. Thoughts? I have fitted a switchable -6db pad between the output of the pcb and the anttena socket. 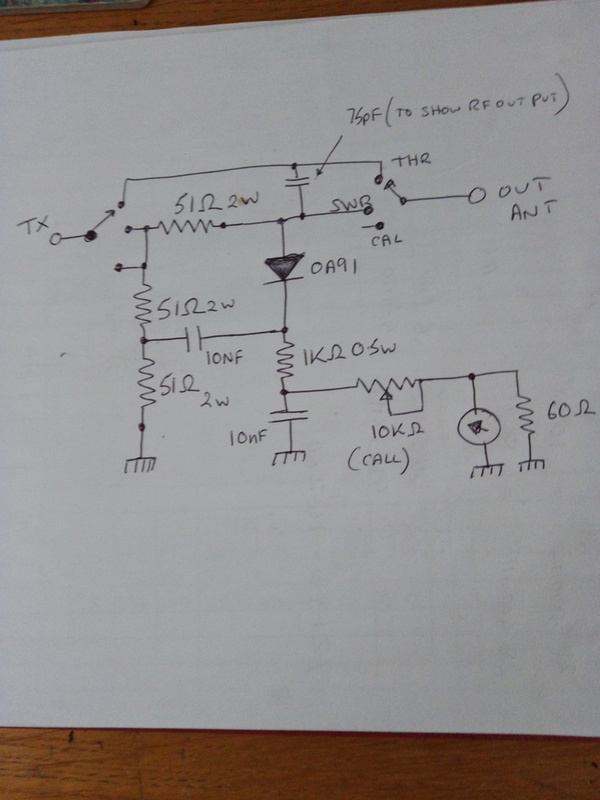 With the circuit switched in the worst case swr is about 1.65 to 1 with an open or short circuit, this prevents the finals from ever seeing a poor swr. tune is easily achived with the key down and reduced radiated power when tunning up. I use 2 watt carbon resistors 33 ohms in a t attenuator circuit. 2 in parrarlel to give 16.5 ohms which is close enough to the callculated value. I use a relay to switch this attenuator in and out.